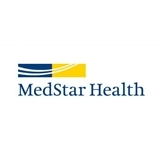 MedStar Orthopaedics at Montgomery Medical Center (Olney) - Book Appointment Online! Unfortunately it took over an hour to be seen, and then to be xrayed, but Dr. Knolmayer is always patient, never rushed and always on top of his game. Dr MacDonell was courtesy and thorough. Very nice guy. Dr Mitchell was very professional and friendly. He is very good at explaining things to you.